Motorcross Arena - Anime Style Poster Illustration and Podium Cut Outs. 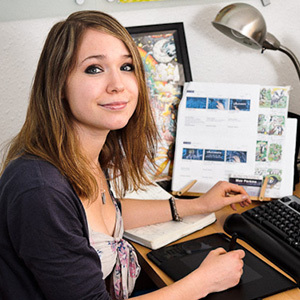 | Mair Perkins Ltd. 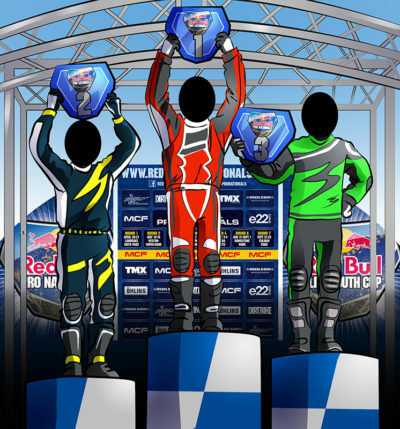 I was hired by a sports marketing agency to illustrate some artwork for posters and podium cut outs stands. They requested an anime/manga style and that the artwork was provided in Adobe Illustrator vector format so it could be scaled to anysize. 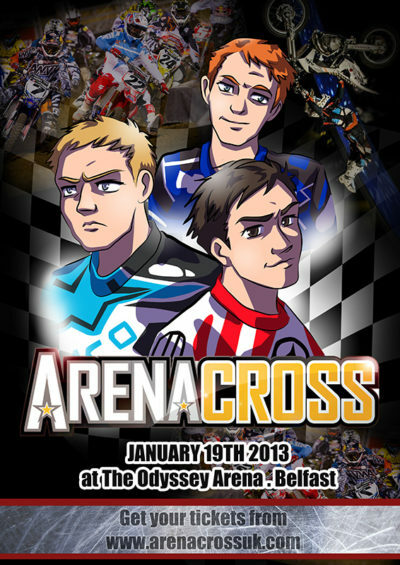 Anime style poster illustration advertising the motor bike racing event. Featuring some of the sports stars. Podium cut outs for the motor bike racing sports event. 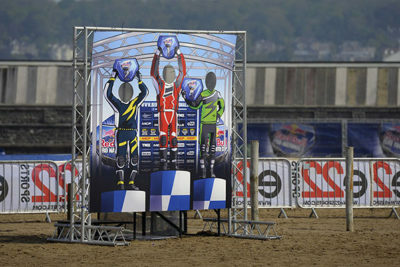 Photo of the podium cut outs printed and set up in the arena.